The Old Agness Store is located in Agness, Oregon. With this store in the middle of the Siskiyou National Forest, Agness really is a small town. It otherwise has one post office, a library, a community building, a volunteer fire department, and two lodges. Owners Steve and Michele once had an actual store before transitioning to an online capacity. This all started when my friends at Main Event Pong convinced me to participate in a Competition Brownie challenge last year. 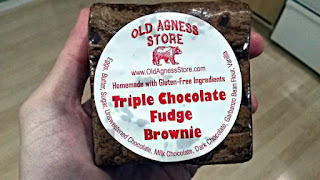 The Old Agness Store's Competition #2 Brownie is no joke. Filled with superhots, it will make a lot of people suffer. 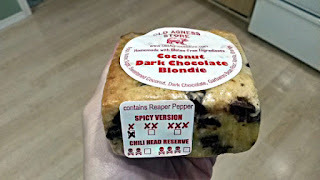 Old Agness Store gets their chiles for their baked goods from Forrest London's Blow Torch Farms in SW Ohio. Basically, you must eat the entire half-pound Triple Chocolate Peanut Butter Fudge Brownie, then survive an additional five minutes without relief. It's one thing to chew through and eat the dense, thick brownie. 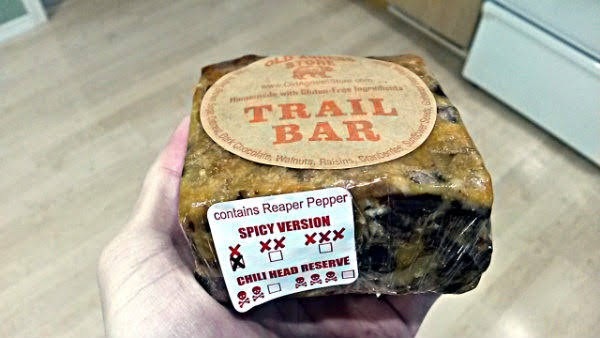 It's another to try to speed-eat that sucker with no liquids and superhots burning all crevasses in your mouth. We had communicated through email and social media about reviewing some of their other goodies in the second half of 2018, but horrible fires in SW Oregon and Northern California, coupled with the holiday season, pushed plans back to 2019. All baked goods are tremendous. 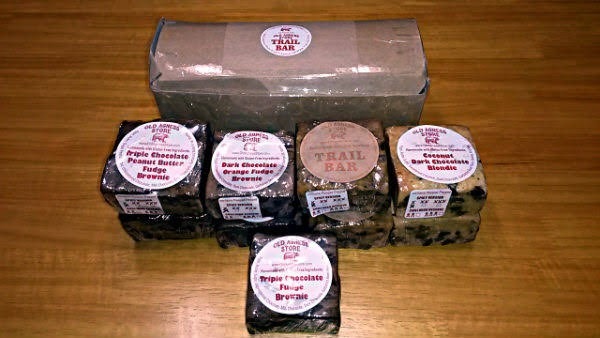 Whether you get a brownie, blondie, or their trail bar, they are soft, with a slight chew. It feels dense but, when you eat these treats, there's a wonderful lightness to confirm that it wasn't overmixed. Even more impressive, these are gluten-free and protein-packed, using garbanzo bean flour. 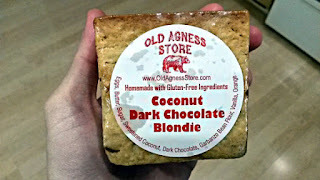 The Coconut Dark Chocolate Blondie has generous helpings of coconut and dark chocolate pieces, with vanilla and orange to liven up the palate. The non-spicy version starts with a blast of orange, followed by amazing coconut and chocolate. 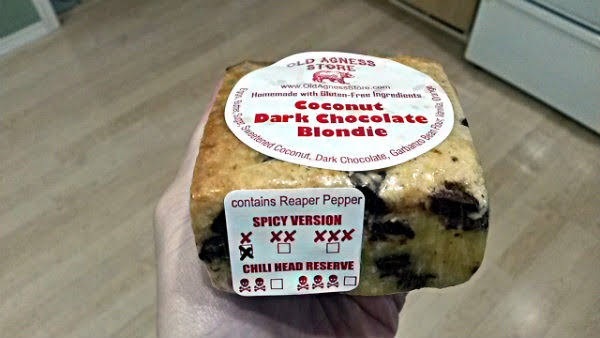 The spicy version will adds a third wave of pleasing spice on the back end. The crunchy coconut strips and sinful chocolate chunks add kickass contrasting textures. 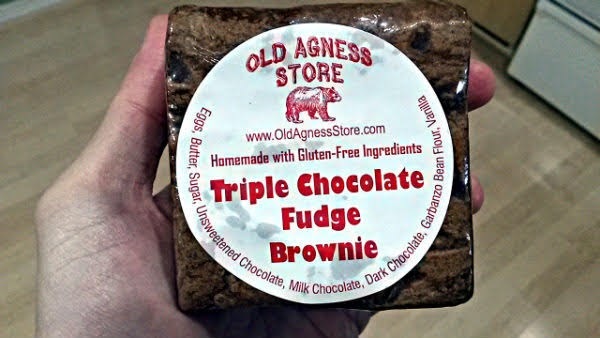 I only received the non-spicy version of the Triple Chocolate Fudge brownie, but wow, it was tremendous. It again feels dense like any brownie, but when biting into it, there's a lightness to it. An ideal balance of milk chocolate, dark chocolate, and unsweetened chocolate. Not too sweet. Lovely contrast between chocolate chunks and brownie. 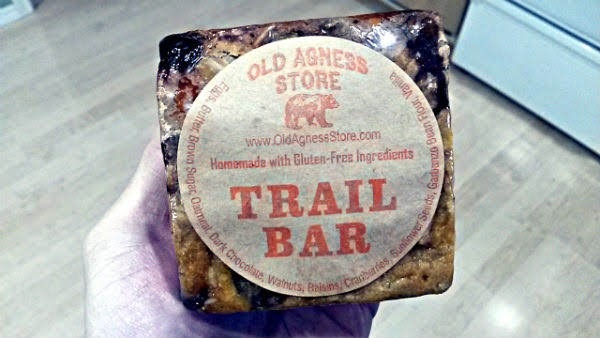 Trail Bar is perfect to take on a hike or other outdoorsy activity. There are similar textures between the trail bar and the brownies/blondies, but there's also an added texture of oatmeal in that trail bar that I like. The sweetness of the vanilla works well against the more bitter dark chocolate. The nuttiness (walnuts, sunflower seeds) and the fruitiness (cranberries, raisins) truly give it that energetic trail bar experience. 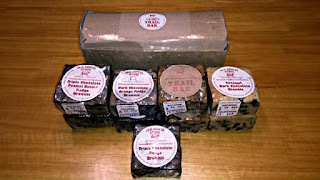 All the ingredients are balanced perfectly; I got nuts, berries, and chocolate in virtually every bite. The X spicy trail bar version takes that no-heat trail bar and gives it a satisfying slight back-end kick. If you want an amazing baked treat, Old Agness Store has you covered. With numerous heat levels, all chileheads will enjoy this. I'll discuss their other two brownies in the second part of the series. Stay tuned!